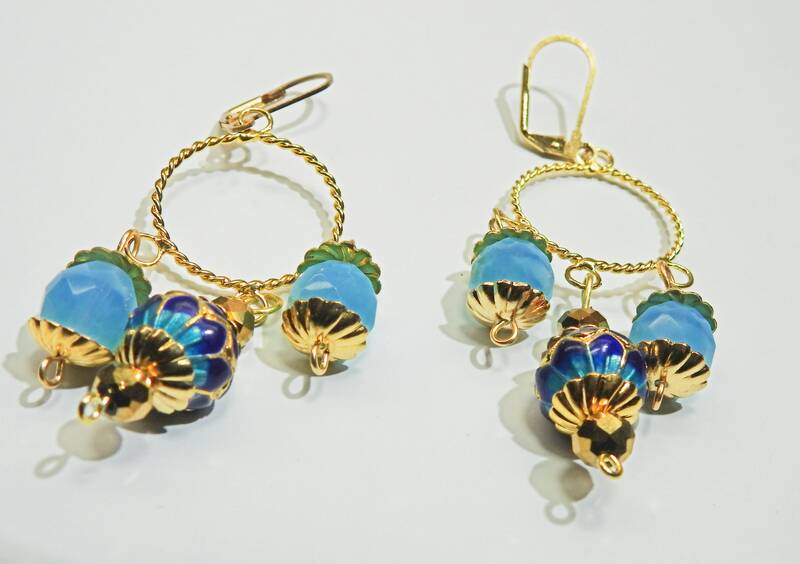 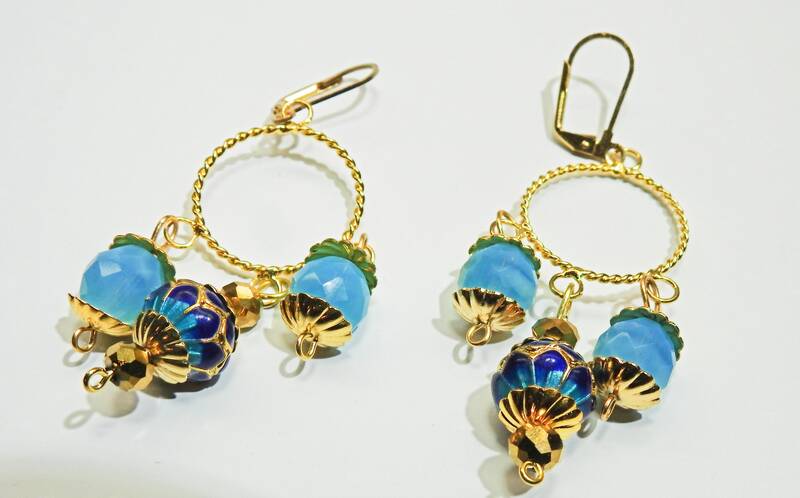 These cute blue dangle earrings are made with light blue Swarovski beads, tiny golden and 2 unique gold navy blue beads. 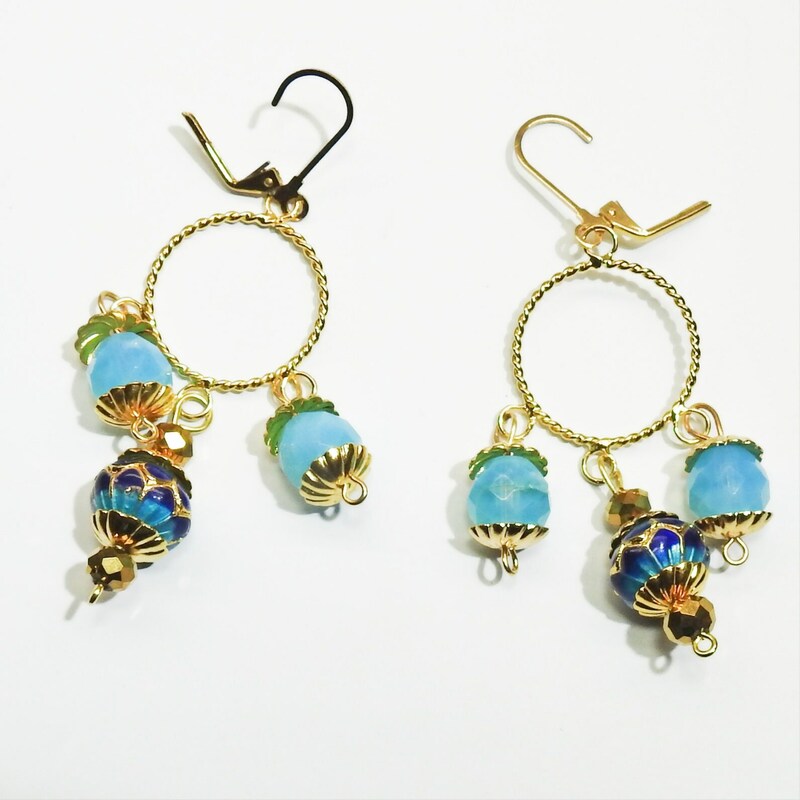 These boho dangle hoop earrings are a cute addition to your any of your bohemian attire. 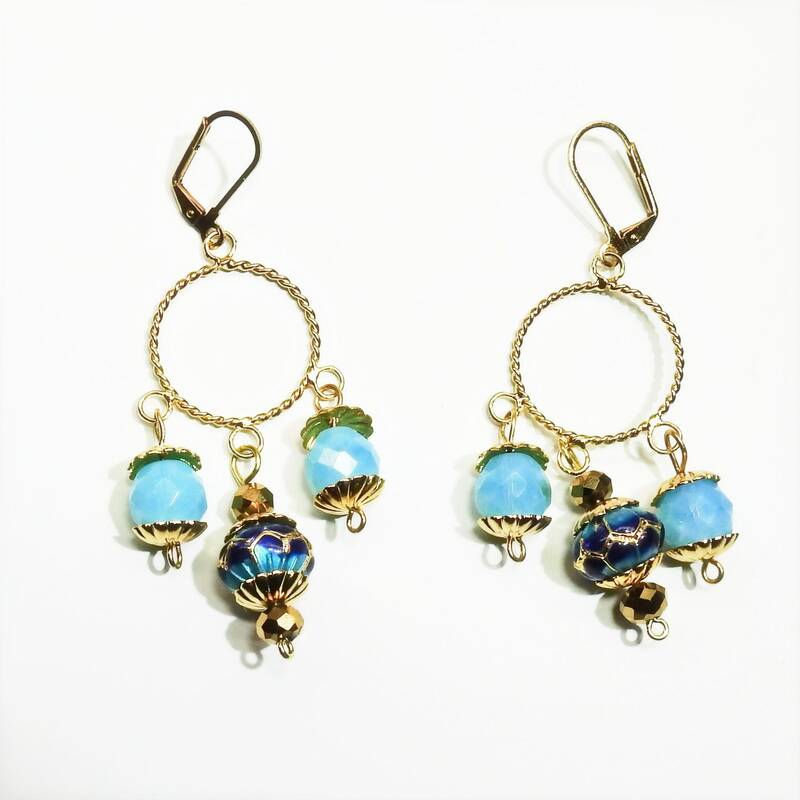 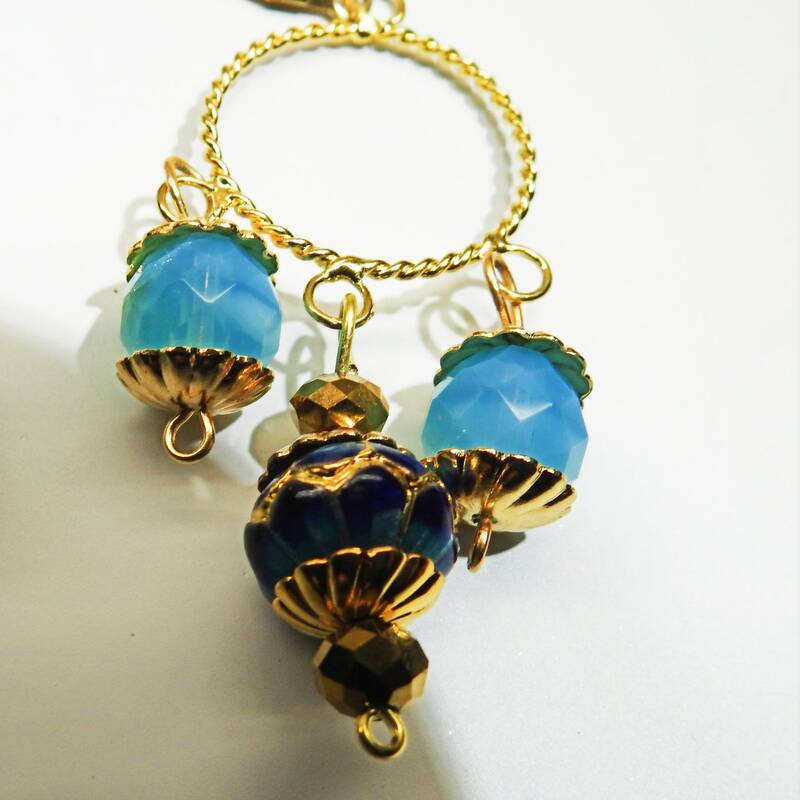 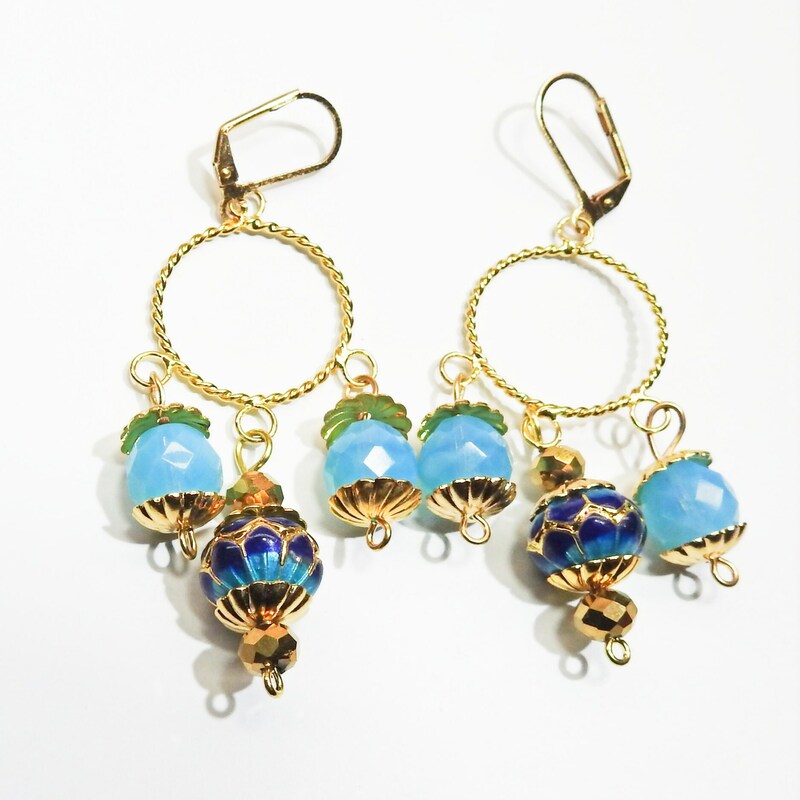 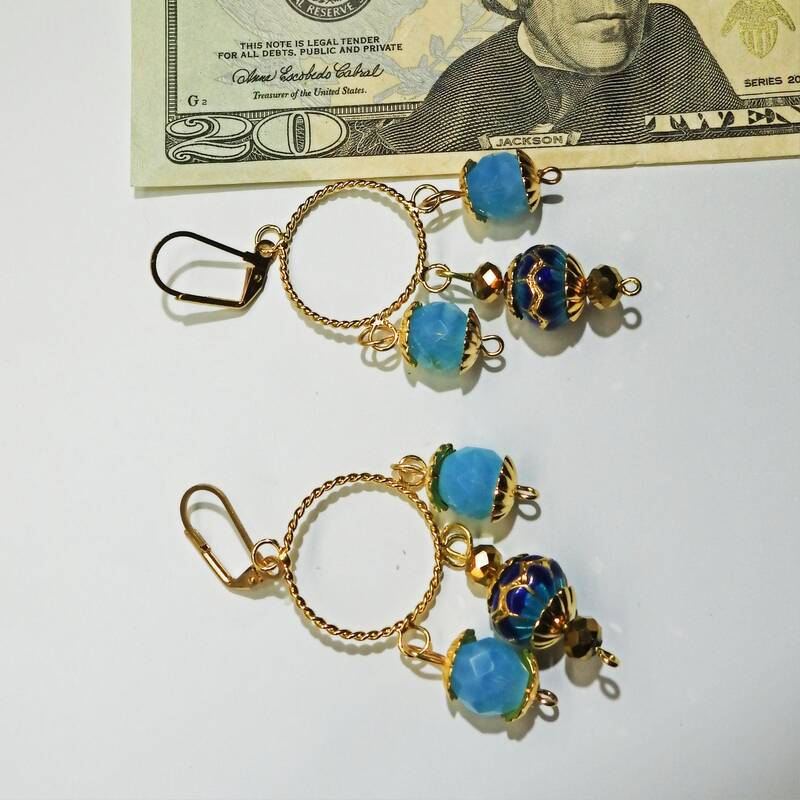 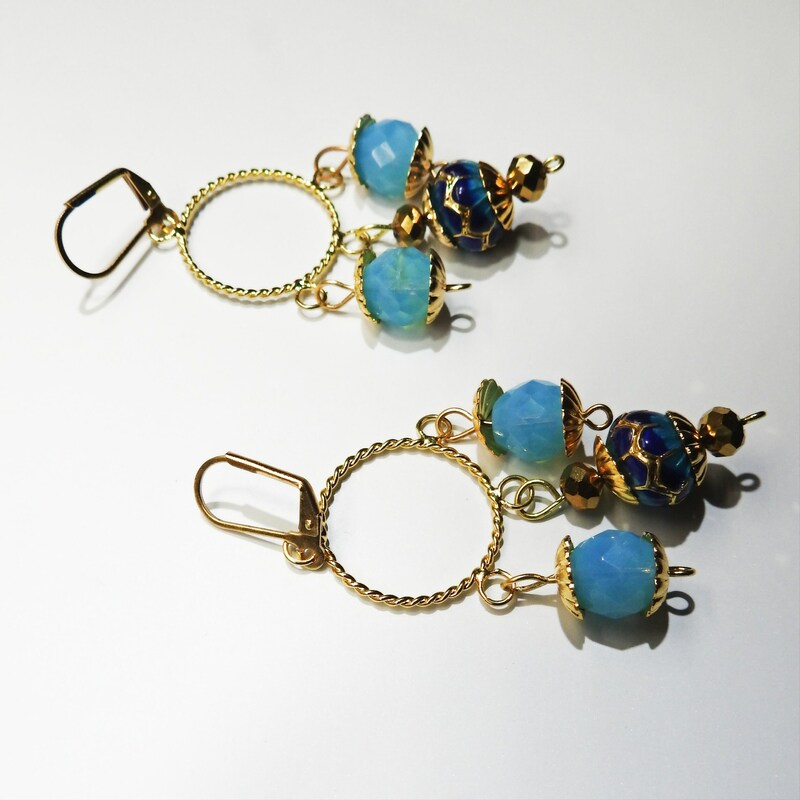 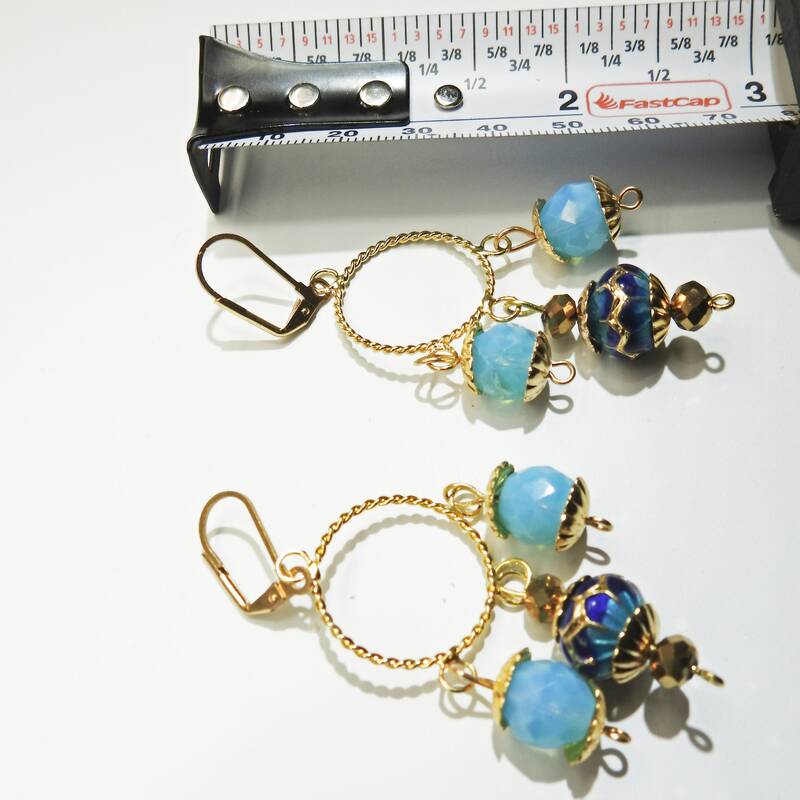 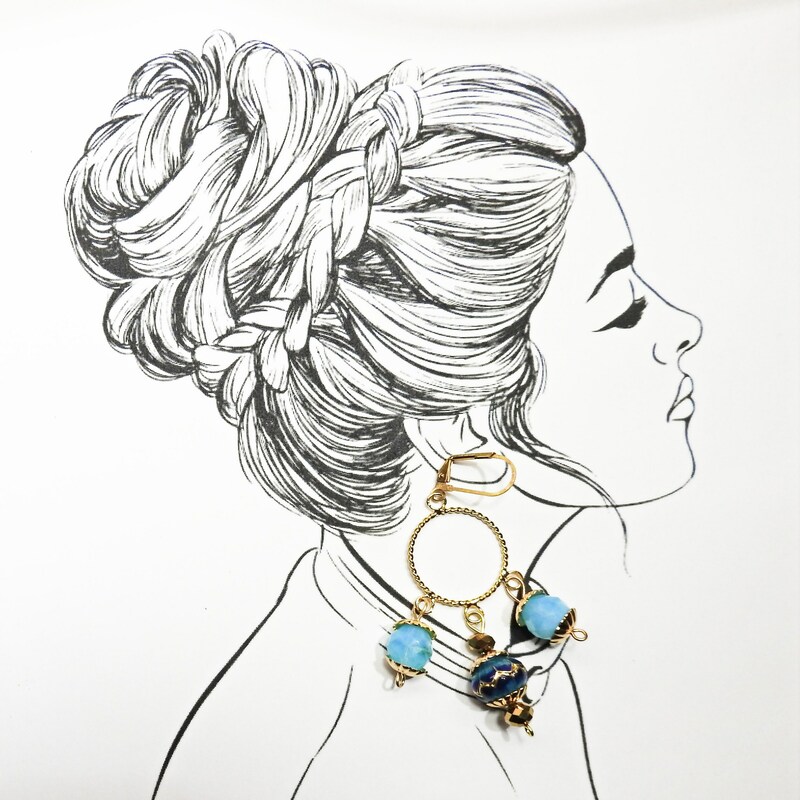 Thank you for exploring these blue and cute dangling earrings!